Pay only $398 when you pay in full! 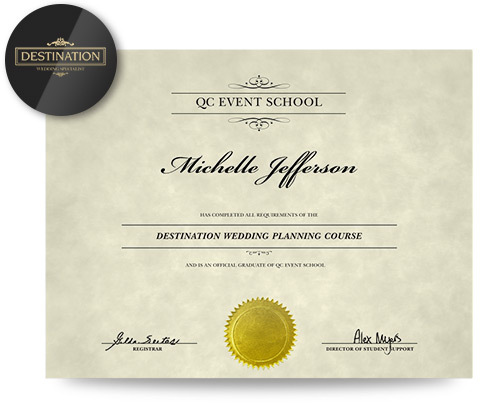 QC’s Destination Wedding Planning specialization course will show you how to organize and coordinate weddings all over the world. From ceremonies on tropical beaches to receptions in faraway castles, your career as a destination wedding planner can take you anywhere. You’ll learn how to organize wedding details by effectively communicating with vendors from a distance. See how translators, travel agents, and other vendors play a large role in creating the perfect wedding. You’ll learn how to network with wedding planners in other countries and market yourself as an expert in planning destination weddings. Help your clients choose the destination of their dreams, facilitate travel arrangements, and pull together a theme, décor and menu items that perfectly suit the location. Note: This is an advanced course that assumes a degree of knowledge in the event and wedding planning industry. Students should have previous training in event and wedding planning or relevant work experience before taking this course. Once you graduate from this course, you’ll receive a certificate of completion and the professional designation of Destination Wedding Specialist. Your certificate will reassure clients and employers that you can successfully meet their expectations during the process of planning any destination wedding. Dive into your role as a destination wedding planner, and find out why clients opt to have destination weddings. Learn about the options available to clients who are looking for a destination. Find out the top considerations for researching destination wedding locations. Study the destination wedding planning process and understand how to qualify your clients. Learn how to calculate estimates and retainer fees, as well as how to assess your client’s budgets. Find out how you can incorporate themes that add to the beauty of your client’s destination. Explore the different types of vendors commonly used in destination weddings. Study communication tips for setting expectations and timelines with your clients. Learn new strategies for communicating from a distance, including how to get past language barriers effectively. Study various pricing models and select one that works best for your services. Discover how social media marketing benefits your business, from finding new clients to networking. Learn to overcome challenges in destination wedding planning, and study the importance of contingency plans. QC sends you everything you need to complete your course, including lesson texts, course guides, and video tutorials on DVDs. You’ll gain lifetime access to the Online Student Center where you can access electronic copies of your course materials. Here, you’ll submit assignments, connect with peers, and review your tutor’s evaluation and audio feedback. 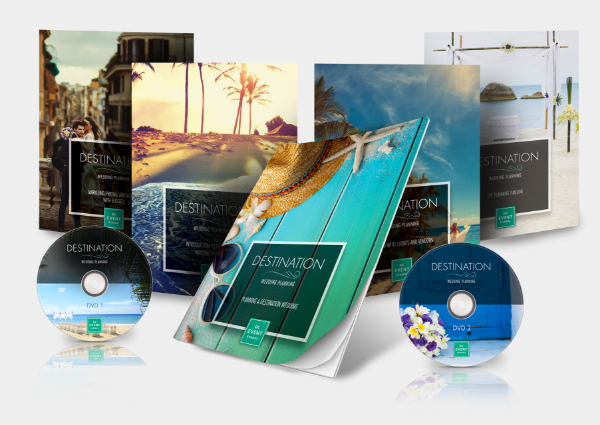 Download a Course Preview to get an inside look at the Destination Wedding planning Course. If you’re organized, have a passion for planning, and enjoy travelling to new places, a career in the destination wedding industry sounds right for you! Enroll today and take the first step towards an exciting and motivating career.